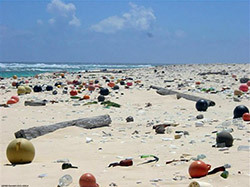 Image of PMNM's marine debris campaign poster appearing on the public bus system on Oʻahu in Hawaiʻi throughout May 2015. 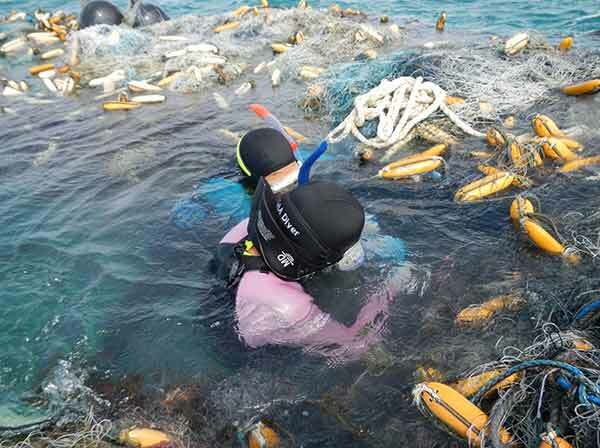 Each year, more than 50 tons (about the weight of a dozen elephants) of marine debris washes up on the shores within Papahānaumokuākea Marine National Monument. 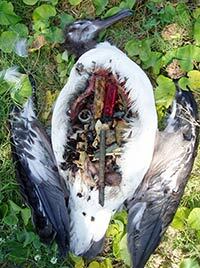 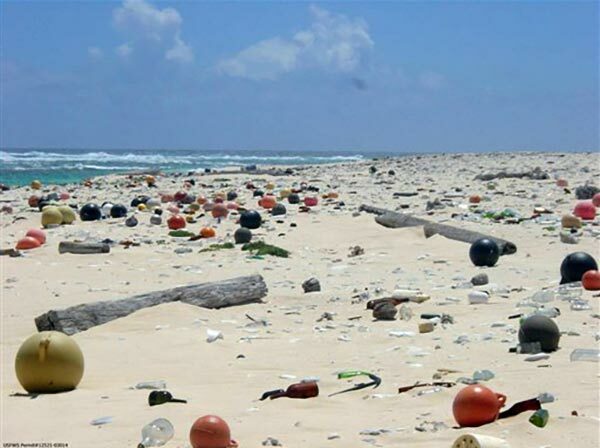 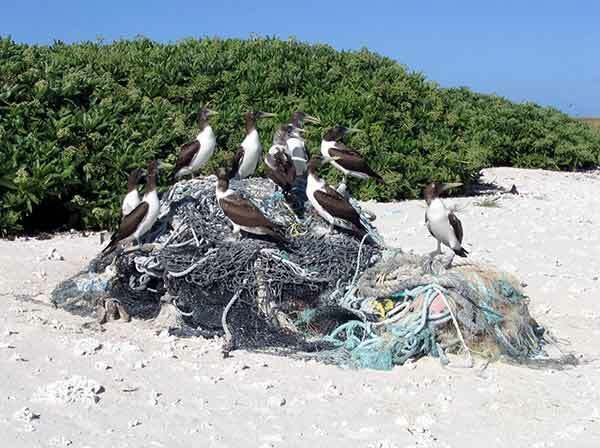 Since this protected area is very remote (more than a thousand miles from any major city) and mostly uninhabited by humans, all of this garbage is coming from somewhere else! 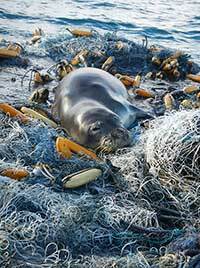 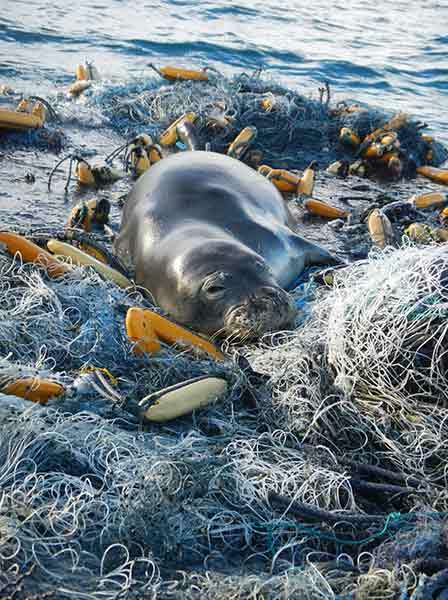 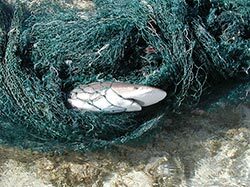 Each year, numerous animals get entangled in discarded fishing nets, lines and other trash, which can prevent them from foraging and surfacing to breathe, and can lead to death. 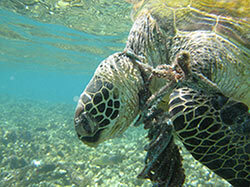 Discarded nets drifting through the currents also destroy acres of coral reef, prime habitat for countless creatures. 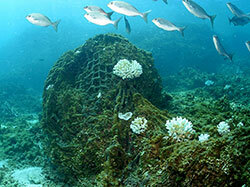 Once they have settled, they can smother the corals and prevent growth. Many partners have been working together for more than a decade to survey and remove debris that accumulates in the Northwestern Hawaiian Islands. Since 1994, NOAA and its partners have removed 904 tons of marine debris (that's equivalent to more than 200 elephants!). The weight of a typical mass of discarded net is right around one ton (about as heavy as a bison or small car). However, in addition to these usual suspects, in 2014 the Marine Debris Team removed a single 11.5-ton monster net from Pearl and Hermes Atoll. 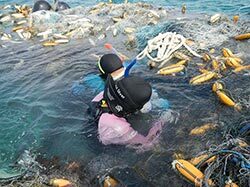 This very same monster was previously spotted in 2013 with the remains of animals that had gotten entangled and died in it. 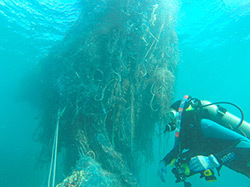 The sheer size of the net, combined with its location in the middle of a maze of shallow corals, weather conditions, time, and ship capacity prevented removal of the net at that time. 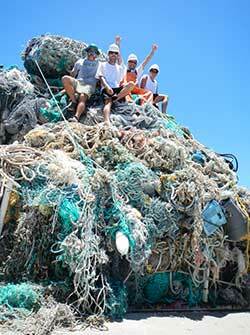 During 2014 Marine Debris operations, the team sought out and relocated the massive net. 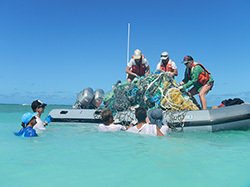 Fully equipped to deal with the monster this time, the team was able to cut it up and remove it after three days of grueling in-water work. 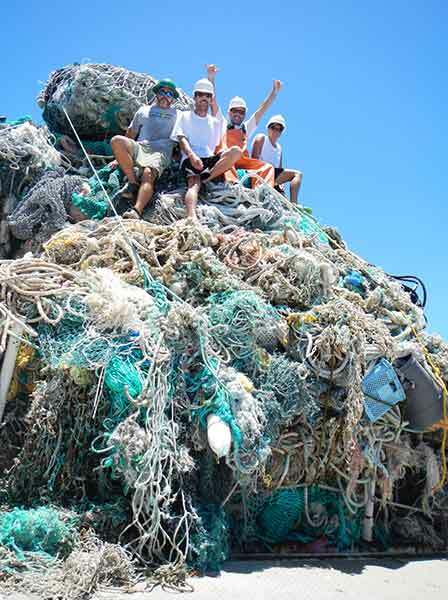 All in, 57 tons of marine debris was hauled out of Monument waters in 2014. 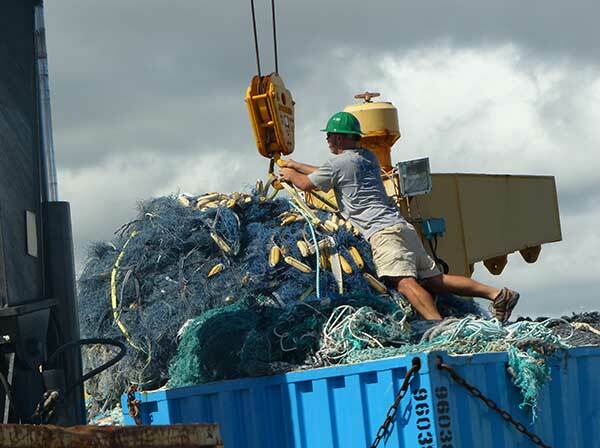 NOAA sends the derelict nets, like the monster, to Hawaii's Nets to Energy Program, a partnership with Covanta Energy and Schnitzer Steel, to be used as fuel to generate electricity, powering homes in Hawaiʻi as a result.